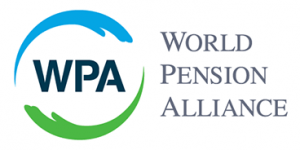 The World Pension Alliance includes the main advocacy associations representing pension plans and providers at the international level, including Europe, the US, Canada, Latin America, and Australia. AEIP was one of the founding members of the WPA, which was launched in 2011 under the name of Global Pension Alliance. In 2016 the network developed its governing rules, appointed a Chair and a Coordinator. Today, through its members the WPA represents more than 400 million people covered by retirement plans, and roughly 5000 pension providers managing more than 7 trillion US$. The primary long-term objective of the WPA is to be recognized at the international level as the common voice of the not-for-profit pension industry representing millions of retirement income plan members. AEIP assists its partners towards the long-term objectives of the World Pension Alliance and promotes the voice of the not-for-profit pension community with international decision makers. On 7th November in Paris, AEIP, the European social partners of the Construction Sector – the European Federation of Building and Woodworkers (EFBWW) and the European Construction Industry Federation (FIEC) signed a new Protocol of Cooperation with the view to intensify their collaboration but also to strengthen industrial relations in the construction industry at EU-level. The objectives of the Protocol of Cooperation were defined as: the development, elaboration and coordination of a long-term action plan to strengthen the system of industrial relations in the construction industry in the CEECs. The partners were committed to also jointly implement measures towards joint research activities of the European social dimension of the construction industry. The National Coordinating Committee for Multiemployer Plans (NCCMP), The Multi-employer Benefit Plan Council of Canada (MEBCO) and AEIP signed a protocol in 2008 with the purpose of better coordinating their lobbying activities where common interests are shared, and particularly to raise the voice of Paritarism. NCCMP is an American advocacy organization of national, regional and local multiemployer pension and health and welfare plans, international and local unions, national and local employer associations, individual local employers, and multiemployer fund professionals. MEBCO is a Canadian federal no-share capital corporation, operating on a not-for-profit basis. MEBCO represents the interests of Canadian multiemployer pension and benefits plans. Under this protocol of cooperation, AEIP, NCCMP and MEBCO organize a joint conference each year, bringing together social protection institutions, government representatives, social partners, banking representatives and industry employees from both sides of the Atlantic, to exchange good practices and to discuss the current situation in the USA, Canada and Europe and possible. The conference takes place alternatively in Europe and in North America. In September 2015, Pensions Europe and AEIP signed a Protocol of Cooperation, recognizing the shared value of an ongoing dialogue and open exchange of ideas to meet common challenges and objectives, in the field of workplace pensions. The overall objective of the cooperation is to provide an added-value for all the beneficiaries of the ongoing and future activities, including companies, their employees, and of course pensioners. With the aim of fully addressing the set objective, AEIP and Pensions Europe agreed to share ideas and experiences in order to learn from each other and to promote common positions, when appropriate. 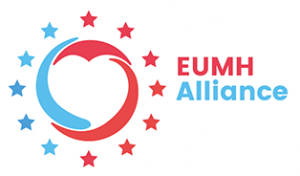 Launched in late 2013, the European Alliance on Mental Health in All Policies brings together six founding partner organizations – AEIP, Mental Health Europe, the European Public Health Alliance, the Dutch Association of Mental Health and Addiction (GGZ Netherlands), EuroHealthNet and AIM. The Alliance is an informal cooperation around the specific issue of the economic impacts on mental health and the role it plays in raising labor productivity as means to support an exit of the economic crisis. The Alliance aims at raising awareness of mental health disorders as an emerging risk for social protection and economic growth and to stimulate policy development at the EU level. Social Economy Europe is the EU-level representative institution for the social economy. It aims at promoting and reinforcing the political and legal recognition of the social economy cooperatives, mutual societies, associations and foundations at EU level. 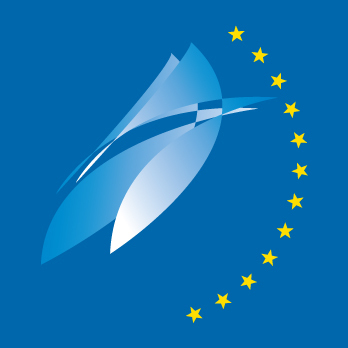 Since June 2014, AEIP is an official member of the Social Economy Europe, taking part in all its meetings with the purpose of contributing to the organization’s initiatives and activities.